Need some help learning how to fall in love again after a breakup? The key is to get out and allow yourself to meet someone again. Let our dating coach's advice to these readers help you find the way. 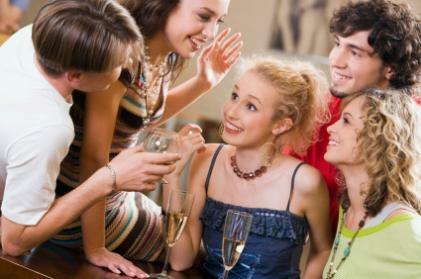 Explore ways to meet new people even if you aren't a party girl and how to take charge of your love life. Although falling in love with a man who was separated from his wife and who later decided to work on his marriage is painful, it did teach you something about yourself. It showed you that you are loveable and are capable of falling in love. This temporary relationship filled the emptiness within you and ignited the motivation and desire to have the experience again. I am not suggesting that this knowledge will take away the pain of him leaving you. It can however, help you to see that something good came out of the experience you had with this man. There is no reason to think love won't happen again. Likewise, I don't think he used you. It looks to me like you filled the emptiness within him too. Most likely his loneliness was a result of being unfulfilled in his marriage. He turned to you because you too shared that feeling of wanting to be loved. However, he has a history with his wife and memories of better times they shared. When jealousy arose within her, it stirred the desire for each of them to work on their marriage. This too will not take away the hurt of having loved and lost, but perhaps over time it will lessen the pain. You are right about one thing. Staying in the house will not allow you to meet new people or find that special someone. So, as uncomfortable as it might feel to get out and get involved, you couldn't pick a better time of year to do so. The holiday season is a unique time of year because people have a positive and 'good cheer' type of attitude. For singles, this time of year can be a great opportunity to be in just the right place at just the right time. If you're not the 'life of the party girl' type this doesn't mean you can't be the party type. Getting involved is easier then you might think. Volunteering is a good way to be at the festivities without feeling the awkwardness of showing up as a guest. As a volunteer your job is to make others feel comfortable and at ease. Being a gracious host is a way to attract others to you. There are many places to volunteer. One place is with the faith or spiritual based. Whether you're religious or nondenominational, this time of year draws people together in a spiritual way. We all want to feel connected; community or as I like to say 'common unity' brings people in search of meaning or purpose. If you don't already belong, look for a church or nondenominational congregation offering services, parties or other activities that resonate with you. Call them and ask if they can use a volunteer to help. Another great way to meet other singles is at charity events. Many organizations offer fundraising events especially New Years Eve parties. Call your favorite charity and see what events they may be hosting between the last weeks in December through February. With the New Year right around the corner, groups, classes and courses will all be starting up. This is a great time to be thinking about your own interests, hobbies and personal development. By getting involved you also are getting out of the house, expanding yourself and becoming more of an interesting person. If fear has been stopping you from taking risks to meet men, just remember, Courage is the mastery of fear- not the absence of it (Mark Twain). How sad that you have put your love life on hold for the past year and four months waiting for your ex to make a move. The only move he seems to be making is to keep you on a leash while he behaves like a boyfriend (albeit a bad boyfriend) to someone else. This is why you are in so much pain and why it hurts so much. You haven't let go of him and grieved the end of the relationship. Instead, you have held on to a dream, a fantasy that one day he'll come back to you. Now one year and four months later, you are still waiting. You are playing second fiddle!!! STOP!! You don't deserve to be any guy's back-up. You deserve to be the number one girlfriend and not to this louse. Behaviors always, always speak louder than words. Until you are ready to take action on your own, your life will continue to be stuck. I have a theory about in action. The real reason people stay in bad relationships is that it isn't really that bad. When being with him is more painful than being without him, you'll be ready to let him go and move on with your life. When that time comes, you can say to your ex; "For a year and four months I have waited for you. I believed you when you said your relationship with your current girlfriend was over. For a year and four months, I haven't had someone love me and me alone. No more. It is time for me to seek out a relationship in which someone treats me with respect and dignity. I will no longer be answering your text, calls or seeing you. As hard as this will be for me to do, not doing this will only delay my happiness and I am no longer willing to put your happiness above my own!" It is up to you to treat yourself with love and compassion. You cannot expect others to do this if you are not going to do it for yourself first.